Melbourne, Australia – 14 February 2018 – Scram Software, an award-winning cyber- security software development company, has announced that ScramFS – an internationally peer-reviewed encryption system for safeguarding cloud data – is now available to SMEs, government and not-for-profit organisations, enabling fast and easy encryption of sensitive data to reduce breaches and assist GDPR compliance. Cryptography has long had a reputation for being notoriously difficult or troublesome to implement, yet statistics show that security improves when IT professionals have quality tools and documentation showing them exactly how to perform specific tasks. With this in mind, Scram Software has created an ‘encryption cookbook’ accompanying ScramFS, enabling system administrators and DevOps engineers to follow ‘recipes’ for protecting many types of data, from encrypting a WordPress website backup, for example, to the encryption of a MySQL or Microsoft SQL Server backup. Organisations can trial ScramFS for 30 days at https://scramfs.com/download before making a purchase. Volume-based subscriptions start at £349 p.a. (UK) or $499 p.a. (USA) for the first 50GB of primary data under protection, with uncapped per-server licensing options also available. Not-for-profit organisations can benefit from a 50% discount on the purchase price until 25 May 2018. Scram Software is an award-winning cyber security software development company founded by serial entrepreneur, Linus Chang, creator of BackupAssist®, a global provider of automated Windows server backup and recovery software for small and medium sized enterprises. 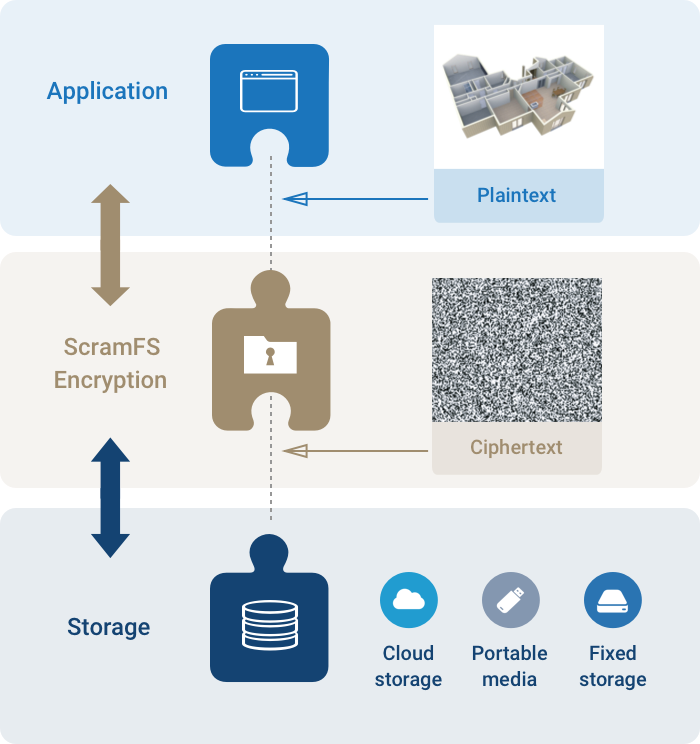 The ScramFS encryption system was researched, developed and peer-reviewed over three years by a team of security experts in the fields of information theory, cryptography, compression, data backup and processing including Dr Ron Steinfeld, a leader in post-quantum cryptography (Monash University, Australia) and Dr Toby Murray, a leader in software security (The University of Melbourne, Australia). For more information, please watch this short video, visit https://scramsoft.com/ and https://scramfs.com/ or follow us on Twitter and Facebook.